SMARTPHONES are common these days. Most of the smartphone have the capability to take voice commands to do normal tasks or search for info. Google itself has a search feature where instead of typing we can just speak the words for the search to get activated. Hollywood has always shown security systems that work on a combination of facial recognition and voice pattern analysis to open doors and access data in various movies. Voice commands are a reality in today’s world. It is said that any sufficiently advanced technology is indistinguishable from magic! Perhaps the most underrated instance of a voice command in ancient days is the voice command “Open Sesame” used to open the treasure cave in the classic children’s tale of “Ali Baba and 40 thieves”. But ancient India has a rich history of understanding the nuances of voice and the power that its holds. We need to understand that voice is nothing but a series of vibration that are produced in matter that the sound waves pass through and when used in the right way, they can have tremendous effects. Siddhis as defined most commonly, are supernatural powers that can be used to achieve various effects. These include ability to change one’s shape or size at will, to obtain riches and what one wills and also to control and influence the minds of other people. How to get the Siddhis? The ancient texts refer to 5 ways: by birth, by using drugs/medicines, by using incantations, by penance and by taking Samadhi. Incantations or series of words and sounds when uttered in the pitch perfect manner have the power to physically influence the ways the world works and how you interact with the world. Essentially, a voice command would give the chanter powers. The legendary Bramhastra or the most powerful weapon ever used was supposed to be invoked by the chanting of the gayatri mantra in a very specific manner by people who were trained in it. It was said that in the hands of the skilled warrior, even a blade of grass would transform into the destructive Bramhastra. The sound waves that the warrior using the astra generates would create vibrations at a molecular level that transforms normal matter into a weapon. This can be one of the earliest examples recognizing the power of sound waves. One of the contemporary debates centered on usage of voice commands is that of opening a vault of the famed Sri Padmanabha Swamy temple at Thiruvananthapuram. The temple got instant fame when a committee constituted by the Supreme Court of India opened one of the temple vaults and found billions worth of treasure in it. There is a second vault called as vault B in the court records that is yet to be opened. 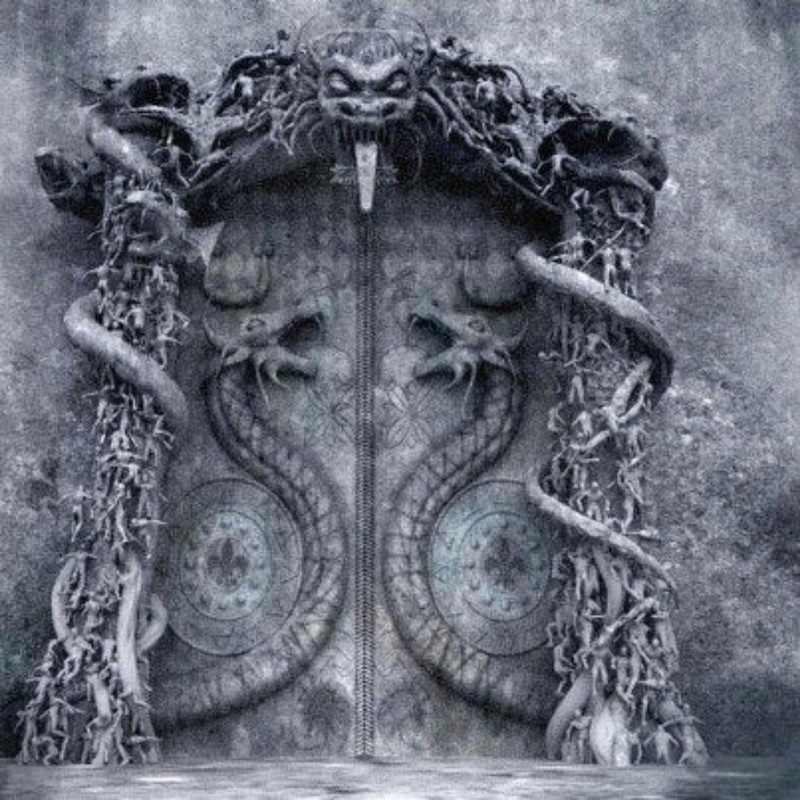 The vault has two large cobras engraved on its iron doors and is believed to have been closed by a “Naga Bandhanam” a mantra used as a security measure by Siddha Purushas in the 16th century. Only a “Garuda Mantra” chanted by an accomplished siddha can be used to unlock. Any use of force is expected to result in catastrophic consequences on the temple and the opener. Another area of voice command influence is in the continued secrecy attached to the nine ancient sciences that are supposed to be written down and hidden across temples in India. It is believed that only the right voice command will cause the sciences to reveal themselves. Also, the voice commands are the key to opening and closing the knowledge of the sciences for an individual. How Chanakya, the master of occult sciences recognized the potential of voice commands and enabled ‘Rudra’, the key protagonist to decode the mysterious ancient sciences and much more…..Grab the crime thriller set in the historic era, “The Indus Challenge” soon to hit the stands!! Chidambaram Rahasya: The Untold Story! THE main temple of Chidambaram is devoted to Lord Shiva. Shiva along with Vishnu and Bramha form the main trio of Hindu gods. The most common form of Shiva worship is in the form of a Shivlinga. What makes Chidambaram different is that it has a variety of symbolism hidden in the whole temple. Chidambaram temple has the Lord Shiva in form of a Nataraj. A dancing Shiva who performs the cosmic dance for eternity and in the process drives away ignorance and gives abhay or shelter and solace to the devotees. He performs the cosmic dance for destruction Tandava Nrutya so as to tear down a weary universe and make way for renewal and rebirth. 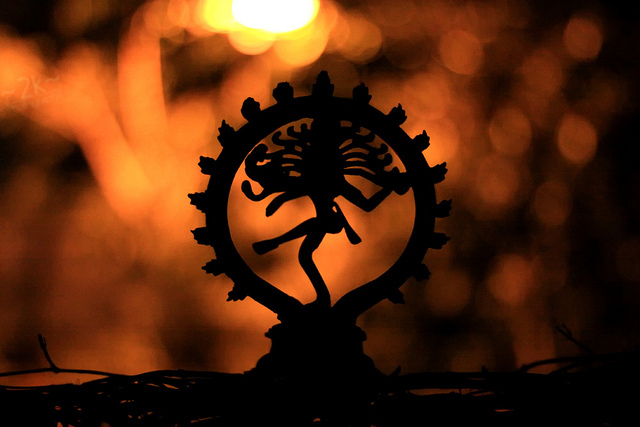 The Shiva form is perfectly poised with his entire balance only on a single toe. It is a belief that Chidambaram and specifically the spot where the toe of the main deity rests is the magnetic equator of the earth. But, the temple has more secrets to offer and decode. Just to the right of the main deity is a space covered by a shimmering curtain with golden threads woven into the weave. The curtain has golden bilva leaves and inscriptions on it. It is dark black outside and a bright red on the inside. On special days and during special prayers the devotees are given a glimpse of what lies behind the curtain. Many go with hope of seeing some form of Shiva or Shakti his consort. All they see is just empty space and a garland of gold bilva leaves hanging in the air! The philosophical meaning for many is that god represents the vast emptiness of space. The curtain is nothing but a symbol of illusion and when the illusion is taken away all we are left with the vast emptiness of space. When you remove the veil of illusion and desires, you experience the vast infinite inner space. For a few moments your mind becomes free from thoughts. We realize that there is some secret of which we have had a small glimpse, like a flash, and this experience brings a transformation in life. The journey that each devotee must make is that from ignorance to bliss. From seeing manifestations of god towards the realization that god is formless and permeates each and every bit of matter and space. But aside from philosophical meaning, many people subscribe that the position of the curtain, the signs and symbols on it and the arrangements of the bilva garland signify something physically secret in the temple. The premise is bolstered by the fact that in ancient times the temple had a vast library of palm manuscripts. These contained ancient knowledge and vast stores of the sayings and discoveries of the saints from thousands of years. Chola Kings are supposed to have donated a lot of gold and given vast amounts of endowments but that are also believed to have ensured that the library is closely guarded and the manuscripts in the temple records disappear. The belief goes that it will take a flash of insight and a mind of clear conscience to decode the symbolism behind the curtain, its inscriptions and the position of the golden bilva leaves in the empty space. Perhaps it will lead to hidden secrets or buried manuscripts. The finder of such knowledge will wield enormous influence and power in the world. There have been calls to use ground penetrating radar to see if there are hidden chambers in the vast underground complex. For now all one can do at the Chidambaram Rahasya is to contemplate the meaning of the symbols and wait for a flash divine intervention. Perhaps, they can discover the location of the ancient manuscripts which give clues to the secret shastras buried a thousand years before the first Chola king ever came to power. What is the connection between Chidambaram Rahasya, Acharya Chanakya, Bramhastra and much more? You may grab a copy of the “The Indus Challenge” soon to hit the stands!! You will be surprised to know more about these unconnected dots!! Helen: Greek Wife of Indian King: Love Story or Spy Ring? READERS of the blog will know the birth story of Bindusara. Bindusara was the father of Ashoka the Great and was the first born son of Emperor Chandragupta who founded the Maurya dynasty. Bindusara’s mother was accidentally poisoned when she was pregnant. When faced with a dilemma of whether to save the mother or the child, Chanakya ruled in favor of dynasty and saved the son and let the mother die. 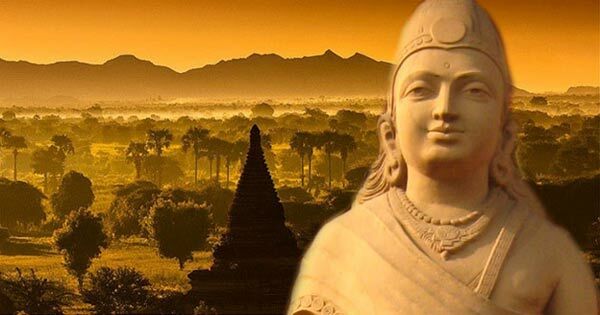 Emperor Chandragupta was widower at a very young age. Chandragupta put all his energies into the expansion and administration of his empire. Those were turbulent times and after the death of Alexander under mysterious circumstances and without a clear heir, there was a mad rush among his generals for grabbing the vestiges of Alexander’s empire. These generals became regional heads called “satraps”. The biggest among them was Selukos. The empire of Selukos started from central Africa and reached till the western borders of the Maurya Empire. The story goes that Chandragupta was on a mission in the border areas and was riding his horse along the banks of the Jhelum River when he caught sight of a bevy of ladies who were frolicking in the water. This was Helen, the daughter of Selukos, who along with her friends had come for a trip. It is said that there was mutual attraction from both sides. The emperor could not get the fair and beautiful Helen out of his head while Helen herself was smitten by the handsome Indian king. Knowing the enmity between the two, both Chandragupta and Helen was not sure about how their love may come to fruition. It is said that Chanakya played a vital party in the love story by offering his carrier pigeons for taking messages back and forth between the two. Chanakya, ever the strategic thinker, wanted to cement the western borders of the empire with a relationship rather than the army. The western border of the kingdom was vast and with a wide variety of geographical challenges. Selukos meanwhile was alarmed by the rise of this upstart Chandragupta and wanted to teach the young emperor a lesson. Selukos wanted to defeat Chandragupta and then make him as a vassal and order his army to fight for the expansion of the area under his influence. What happened was a historic confrontation between the two. Selukos was defeated and was presented in front of Chandragupta. It is at this time, that Chandragupta magnanimously let Selukos live and keep a major part of the kingdom also he gave Selukos 500 elephants for helping Selukos in the war in central Asia. What he asked in return was Helen as his wife. Selukos was stunned and happy. He also gave Chandragupta parts of current Afghanistan and also an assurance of no war on their border. Thus was sealed an incredible love story between a Greek princess and Indian king. A princess who believed in the Greek gods and a Hindu King. A bridge was created between two cultures. But rumors abound that it was not such a fairy tale romance. Helen was not happy at her father’s defeat and the submission of her father was festering sore in her mind. She was not fully happy with her marriage. Selukos is also believed to have told Helen to be his spy in the Maurya Empire. How much truth is there in this? No one knows. But did Helen really love Chandragupta? Did she integrate into the Indian culture? Was she a spy or an assassin to kill Chandragupta at the appointed hour? Or was she the latest pawn in search of the secrets of ancient India? Secrets, that had Alexander come down to India in the first place? Ambrosia to Alchemy: Was Alexander Foxed by Poison disguised as Amrit? Since the time man has faced the reality of death and eventual decay of the human body, the hunt for a solution started. Generations of men in recorded history have craved for a healthy, glowing and radiant body and a life that lasts forever. The stories are embedded in legends from Ancient Indian Vedic texts to Greek mythology. The solutions have been variously called Amrit, Ambrosia, Elixir of Life and many other names. One of the foremost references is in the ancient Indian story of Samudramanthan. An epic undertaking in which, gods and demons or the asuras collaborated. The objective was to churn the universe or the ocean of nothingness so that gifts that the universe holds could be obtained. The giant serpent Vasuki became the rope and Mount Mandar became the churn and gods and asuras started the churning. It went on for a 1000 years. At the end of it, a pot of Amrit came out. This was the prize everyone was waiting for. A liquid so potent, that it will give the drinker strength and immortality. Legend goes that the gods ran away with the Amrit and the asuras gave chase. The chase lasted for 12 earth years or 12 nights and days for the gods and asuras. It is believed that Amrit drops fell at four places on the earth during this chase. These blessed places: Allahabad, Haridwar, Nasik and Ujjain are now revered and a massive festival takes place every twelve years at these locations. This is the Kumbh Mela. It is believed that taking a bath in the rivers at these locations during the auspicious times ensures the body is released from the cycles of birth and death and attains oneness with the universal consciousness. The legends of such a drink also abound in the Greek Mythology. The gods living on mount Olympus are given the Ambrosia by doves. Drinking the Ambrosia is supposed to give the gods immortality and exceptional strength. A drinker of Ambrosia converts his blood into Ichor a divine golden liquid. It was reserved for the gods and no mortal was given it. Tantalus son of Zeus tried to steal ambrosia and give it to mortals. He was stopped and cursed to forever stand in a pool of water from which whenever he tried to stoop down and drink the water would disappear and when hungry he would have branches of fruit laden trees overhead, but they would be blown just outside his grasp when he tried to eat them. Another word for Ambrosia that appears in the Greek classics is Nectar. The Greek word ambrosia shares a close relationship with the Sanskrit Amrit. Both denote “undying” as an attribute in their own forms. Apart from the legends, the history of mankind is filled with quests of finding the elixir of life. The word elixir was not used until the 7th century A.D. and derives from the Arabic name for miracle substances, "al iksir". The Elixir has had hundreds of names (one scholar of Chinese history reportedly found over 1,000 names for it. ), including (among others) Amrit Ras or Amrita, Aab-i-Hayat, Maha Ras, Aab-Haiwan, Dancing Water, Chasma-i-Kausar, Mansarover or the Pool of Nectar, Philosopher's stone, and Soma Ras. The hunt for the elusive elixir that grants eternal life and eternal youth has been recorded in history. In ancient China, various emperors sought the fabled elixir with varying results. In the Qin Dynasty, Qin Shi Huang sent Taoist alchemist Xu Fu with 500 young men and 500 young women to the eastern seas to find the elixir, but he never came back (legend has it that he found Japan instead). The science of alchemy has been an ongoing quest to find not only a way to convert lead to gold but also to find or formulate the elixir of life. 13th Century polymath Albertus Magnus is rumored to have given the Stone to Thomas Aquinas shortly before his death. Magnus’s writings also claim that he witnessed the transmutation of lead into gold. The mysterious 18th century nobleman Comte de St. Germaine was believed by some to possess the Elixir of Life. According to legends that were probably spread St. Germaine himself, he was actually hundreds of years old. Another historical figure reputed to have created the Philosopher’s Stone was Nicholas Flamel. The historical Flamel was a successful French bookseller who lived from 1330 to 1418. Almost two hundred years after his death, texts surfaced that were attributed to Flamel. According to these texts, Flamel learned alchemical secrets from Jewish alchemists while traveling in Spain, and that he had obtained an original copy of the Book of Abramelin the Mage. In the context of India, Alexander the great is rumored to have been motivated on his quest for India by the chance to learn the secrets of Amrit. Alexander had utmost respect for Aristotle, he used to say that “my father gave me life but Aristotle taught me how to live”. It is believed that Aristotle guided him in his quest. Unfortunately, Alexander died young. The cause of his death is still a mystery. Was it natural or was it caused by poison – the Pundits are still debating. Is there a connection between Amrit and Alexander? If so, why did he die so young? Was he trapped into believing that something he got from India as Amrit, was actually poison disguised as Amrit? You can know this and much more from “The Indus Challenge” soon to hit the stands!